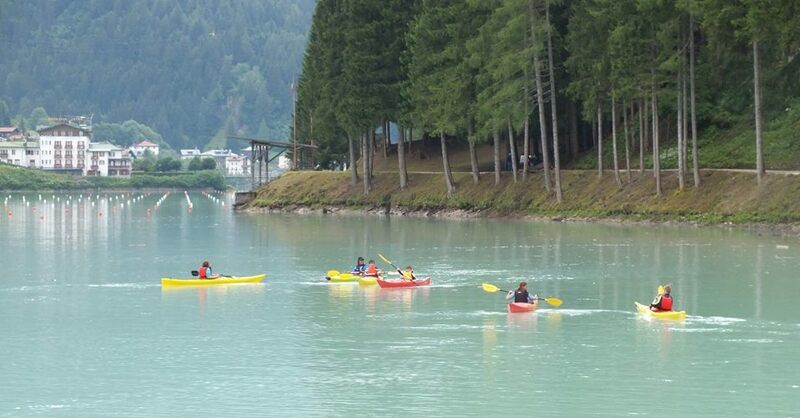 Every year hundreds of sportspeople from all over the world come to Auronzo lake to take part in prestigious canoe, kayak and dragonboat races. The 2018 Under 23 Canoe Kayak European Championships (27th June to 1st July) are one such important event. ASD Canoa Kayak Auronzo Misurina organises beginners canoe courses open to adults and children over the age of eight. The objective of the courses is to teach the principles of canoeing in flat water for complete beginners giving learners the chance to pick up the basic techniques and have fun in complete safety. Equipment is made available by the Association which has technicians from the Federazione Italiana Canoa Kayak.